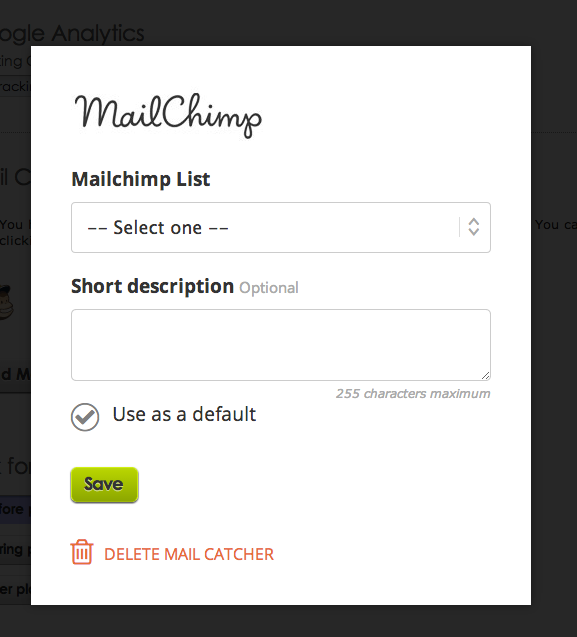 Our new Mail Catcher allows you to capture viewers email addresses and send them to MailChimp, Aweber, Google Drive and your own Custom API mailing lists. 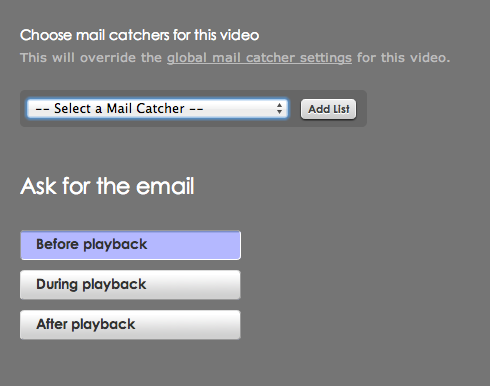 Go to the Third Party tab in your accounts global settings and click to add Mail Catcher. You’ll now see a list of email providers. 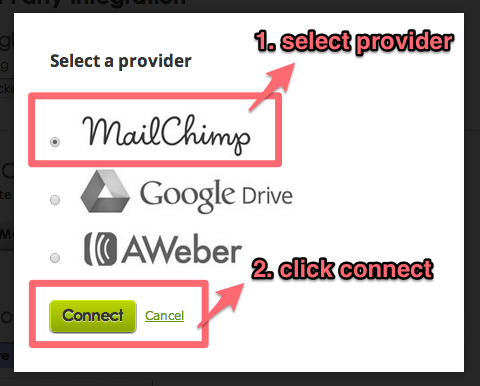 Choose the one you want to send email information to. 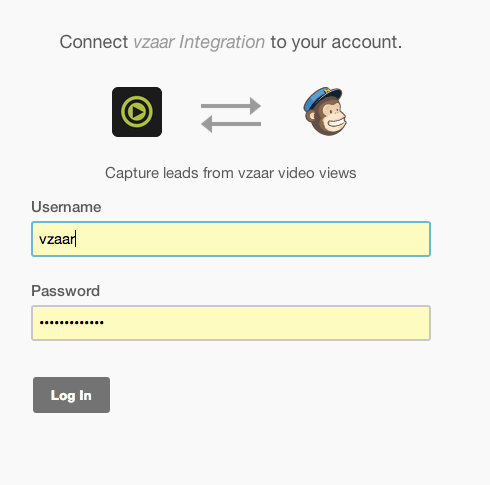 vzaar will now request permission to send data to that account. Click to accept. Depending on which provider you choose you’ll see something a little different each time (see screenshots below). Just enter the URL you wish to send the viewer email addresses to, and the method by which to send them. 1. 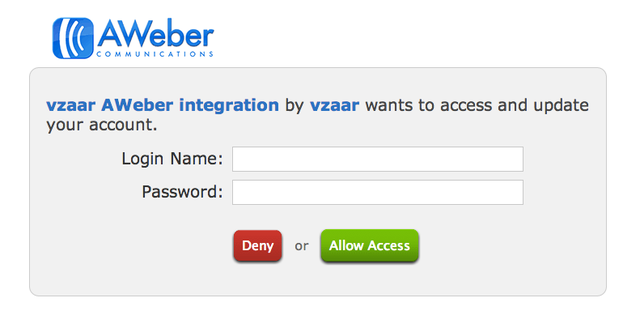 Once you give vzaar permission to access your email provider, a pop up will appear. 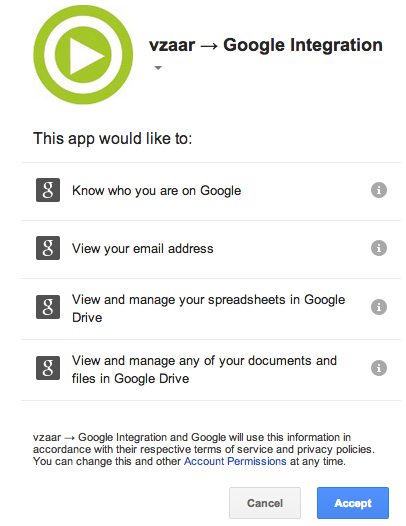 Select the list you want to send the emails to (please note: if you have integrated Google Drive we will create a ‘vzaar Registrations’ spreadsheet for you). 2. You can also add a short description of the list. This is for your own internal use and will not be displayed to your viewers. 3. To use this list as the default for all of your videos click the tick and it will turn green. 4. Now just choose at which point the Mail Catcher form will appear. Choose from before, during or after playback. To remove or edit a list hover over and click. Can I add more than one list or email provider? You can add as many lists from the different providers as you choose, just repeat the steps above. Can I use more than one default list? Yes, you can set more than one default list. Manage which lists are set as default by hovering over and selecting or deselecting the green tick icon. 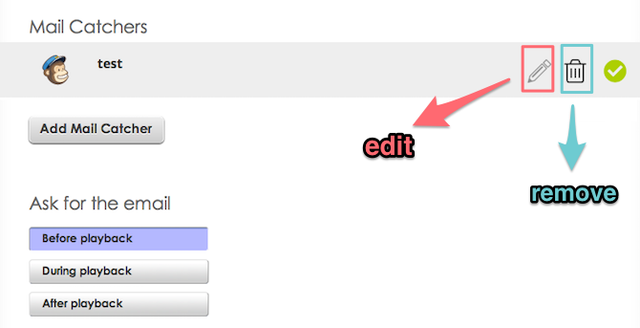 All of the lists with the green tick next to them will be sent the email addresses by default. Can I override default settings? 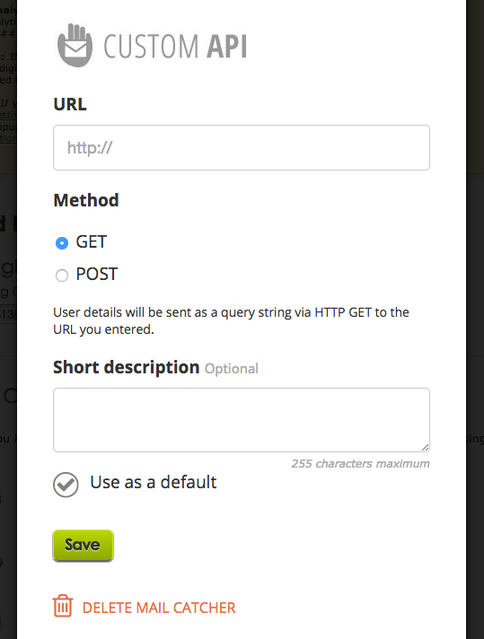 The data sent to your custom API URL is json e.g.